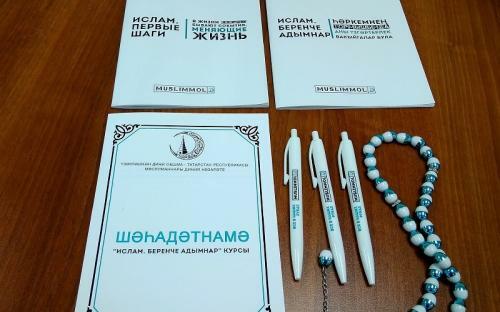 On November 10, the “One Day School” project of the Spiritual Administration of Muslims of the Republic of Tatarstan starts at the Galievsky Mosque of Kazan. The project will help quickly and efficiently master the skills of performing prayers and the basics of Islam in 5 lessons. Today, over fifty people have expressed their desire to attend the classes of the “One Day School”. The youngest listener is 16 years old and the oldest is 78 years old. Sign up for classes by phone: +7 (843) 237-86-18. Classes will be conducted free of charge in the Tatar and Russian languages by the experienced teachers of the Russian Islamic Institute. 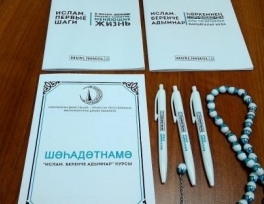 After completing the project, participants will receve a certificate of completion of training in the “One Day School” project, reported in the Spiritual Administration of Muslims of the Republic of Tatarstan.